Mary Paulson-Ellis was born in Glasgow and studied Politics and Sociology at Edinburgh University. 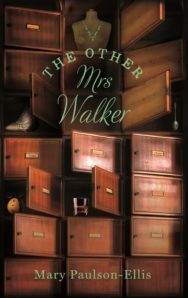 She worked for several years in arts administration before giving it all up to become a writer. 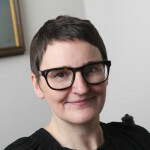 She began with an evening class as part of the Edinburgh University Open Studies programme in 1999 and went on to complete an MLitt in Creative Writing from Glasgow University in 2008. On graduating she was awarded the Curtis Brown Prize for Fiction in 2009 and was runner up in the Sceptre Prize that same year. Mary’s short fiction has been published in a variety of anthologies and magazines including New Writing Scotland, Gutter and the Herald. She is both a Brownsbank and a Hawthornden Fellow and won the Maverick Award from the Tom McGrath Trust in 2011 for her children’s illustrated book project about an existential Jack Russell. 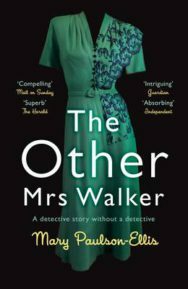 After detours into tour guiding for the National Galleries of Scotland, script-editing for BBC Scotland and running a small theatre company, her debut novel, The Other Mrs Walker was published by Mantle/Pan Macmillan in 2016.